You can expect to make a difference to your resident, your community, and yourself by maintaining vibrant relationships. A staggering 60% of nursing home residents have no visitors. That means an alarming 2,839 residents in the Bluegrass area are missing vital social interaction with people from their community. 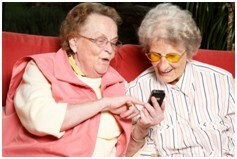 As a Friendly Visitor, you will be matched with residents who have a significant need for your friendship. Their expectations of your time are only a few minutes each week! Consistent friendship with a nursing home resident injects a bit of energy, life and laughter into a rather monotonous routine. Print and submit the application, and we will contact you. All qualified volunteers must complete orientation and Friendly Visitor training. We offer several training sessions each year. To stay happy and hopeful, an old Chinese proverb says that we all “need something to look forward to, something to do, and something to love.” You could be that something! 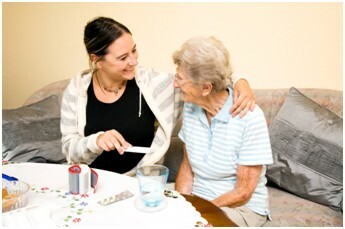 We will review your application and call you to arrange a nursing home visit. You can also call our office at 859-277-9215 and request a Friendly Visitor packet be mailed to you for completion.